Spectral.DNC-N is a breakthrough hair health promotion system. The key ingredient of this effective formula is Nanoxidil. This is an effective alternative to Minoxidil, which combats thinning hair and promotes thicker hair-re-growth on the vertex and hairline. Has your hair started to become thin and fragile? 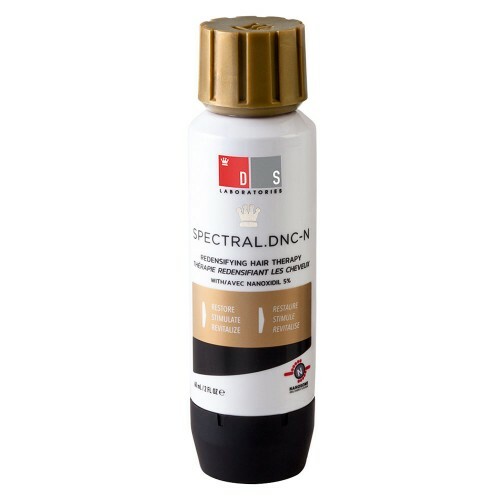 Spectral.DNC-N helps to improve the natural texture of hair and encourages a fuller hair appearance if it has started to become thin and fragile. Spectral.DNC-N (Nanoxidil) is specially created to address your hair thinning and chronic hair falling problems safely and effectively. Spectral.DNC-N is said to be a breakthrough hair and scalp support system. Containing 5% Nanoxidil- a new and complex compound developed as an alternative to minoxidil, this formula is great help to those who wish to overcome their thinning areas without suffering with itchiness or greasiness that's commonly associatated with minoxidil. Suitable for both men and women, this formula should be applied on a daily basis to areas affected with hair loss and with thinning hair. Improves the free flow of potassium ions across cell membranes by opening the ion channels in the skin cells for optimal hair health. Improves the free flow of potassium ions across cell membranes by opening ion channels in skin cells for optimal growth. Stimulates hair follicles during the anagen phase. Nanosome encapsulation allows the treatment to work effectively 12 hours. 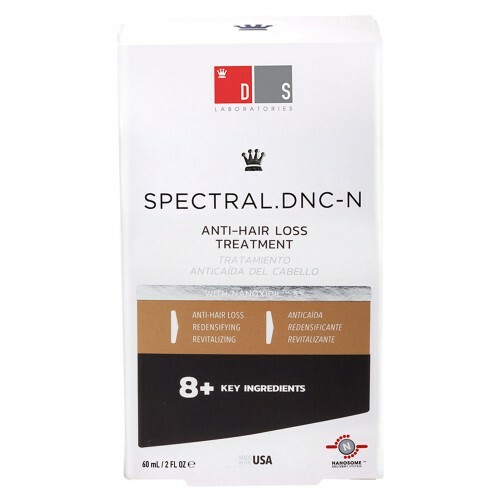 Spectral.DNC-N is specially formulated to preserve hair fibres in their healthiest state with the help of its potent blend of specifically chosen ingredients. This formula uses Nanoxidil in combination with Copper peptides, T-flavanone, Aminexil, Procyanidin B-2, Citrulline and additional key contents to support healthy hair and scalp. Maintaining healthy hair is simple to do with formulas like Spectral.DNC-N. Apply six sprays directly to your thinning areas and rub in to ensure an even spread and thorough absorption. Do not rinse. Wash your hands thoroughly with soap and water immediately after use. Formula can also be used on unwashed hair. Use it consistently and as directed. If you miss applications, this can result in hair that has been supported to stay on the scalp to fall out. When using Spectral.DNC-N as directed, you should be able to tackle thinning areas in as little as two weeks. However, to ensure significant and lasting benefits,it's recommended to use the formula for three months. The time the formula takes to thicken hair varies from person to person and is dependent on the extent of hair damage suffered. To experience the best results, use this product during initial stages of hair thinning. If your hair is at advanced stages of thinning, the formula may take up to six months to show results. 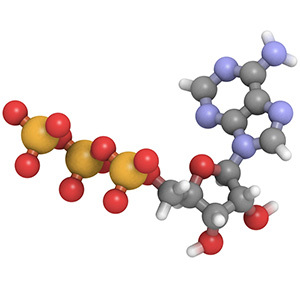 Nanoxidil- As explained in the beginning, Nanoxidil is developed as a Minoxidil alternative and the Spectral.DNC-N formula contains a 5% concentration of this compound. Nanoxidil is known for its potential to stimulate hair growth on the vertex of the scalp and it also encourages resting follicles to enter the growth phase of hair the cycle. Aminexil- Aminexil is included in this preparation for its tested ability to protect roots, strengthen fibres and prevent the premature ageing of hair. Copper-peptides- Copper peptides prevent further oxidative damage and act as a repairing agent to remove scar tissues and damaged proteins. This makes way for newer and healthier tissues. Spectral.DNC-N promotes healthier hair with no known side effects. It's natural formula and thorough testing leaves you with the perfect opportunity to gain luscious locks easily and discreetly. We advise not to use this product if you are pregnant or breastfeeding. Ordering at HairCareTotal couldn't be easier. Simply click on the 'add to basket' icon and go through the simple checkout procedure offering multiple payment and delivery methods to suit your needs. If you order by 4.00pm you will receive your Spectral.DNS-N the very next working day. Order today and join the thousands of people who have benefitted from DS Laboratories hair care products. Start holding your head high today.